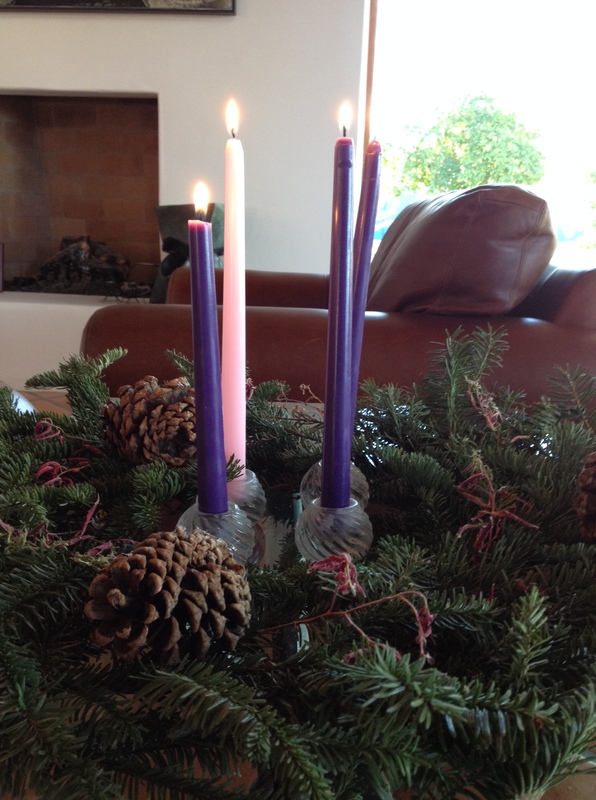 It’s a short Advent season this year, Christmas coming so soon after the Fourth Sunday, but we are the more expectant in our anticipation, and deeper in our gratitude for the blessings of home and family. May the blessings of the season be with you and yours! It was cold in the loft, and his sleep-mazed mind groped among the icy drafts after the words still ringing in his mind. Wind struck the barn and went booming round the roof. A strong chilly draft with a scent of snow stirred the somnolence, and two or three of the horses shifted below, grunting and whickering. _Helwater_. The knowledge of the place settled on him, and the fragments of Scotland and Lallybroch cracked and flaked away, fragile as a skin of dried mud. Helwater. Straw rustling under him, the ends poking through the rough ticking, prickling through his shirt. Dark air, alive around him. Willie rode atop the log, screeching with excitement, clinging to the rope. Once back at the house, Isobel had tried to teach him to sing “Good King Wenceslaus,” but it was beyond him, and he dashed to and fro, into everything until his grandmother declared that he would drive her to distraction and told Peggy to take him to the stable, to help Jamie and Crusoe bring in the fresh-cut branches of pine and fir. Thrilled, Willie rode on Jamie’s saddle-bow to the grove, and stood obediently on a stump where Jamie had put him, safe out of the way of the axes while the boughs were cut down. Then he helped to load the greenery, clutching two or three fragrant, mangled twigs to his chest, dutifully chucking these in the general direction of the huge basket, then running back again for more, heedless of where his burden had actually landed. But those words came out of his dreams, from somewhere else, and long ago. Had his own father said that to him, once? He thought so, and for an instant—just an instant—was with his father and his brother Willie, excited beyond bearing, holding the first fish he’d ever caught by himself, slimy and flapping, both of them laughing at him, with him in joy. _Willie. God, Willie. I’m so glad they gave him your name_. He seldom thought of his brother; Willie had died of the smallpox when he was eleven, Jamie, eight. But every now and then, he could feel Willie with him, sometimes his mother or his father. More often, Claire. _I wish ye could see him, Sassenach_, he thought. _He’s a bonnie lad. Loud and obnoxious_, he added with honesty, but _bonnie_. What would his own parents think of William? They had neither of them lived to see any of their children’s children. He lay for some time, his throat aching, listening to the dark, hearing the voices of his dead pass by in the wind. His thoughts grew vague and his grief eased, comforted by the knowledge of love, still alive in the world. Sleep came near again. Then turned his cheek to her reaching hand and touched her through the veils of time. I love this excerpt and I love the ending. Your genius wrapped up in your love continues to flow. I love reading about Jamie’s love forhis children…. it sustains him through so many difficult episodes in his life. Merry Christmas to your family Diana. Thank you Diana for sharing your amazing talent with the world! I hope you and yours have a merry Christmas and many blessings in the coming new year! I am missing Jamie and Claire, they are like family members among my mother and sisters and I. We often discuss them and speculate when the next book will be out at Christmas gatherings. Merry Christmas. May the magic of Christmas be with you and your loved ones until the next one and beyond! May the New year bring you all good health, dreams come true and prosperity! This excerpt was perfect for Christmas when we remember all our family members, past and present. I hope you and all your loved ones had a very peaceful and happy time together (or apart). I also somehow have the feeling that this new year will see the start of something very special within your family. I know its not really of great relevance to the story but I especially liked the fact that you mentioned the smell of snow. Even here in England, people don’t seem to notice the smell of snow but it does have a very distinct smell. I grant you that it hasn’t snowed here this year like it has in the USA but still . . .
May the Lord bless you and keep you in perfect peace during the coming year. I waited over a year for this book to be out. Pew-Orderd it may 10, 2013!!!! I am frankly very disappointed. I am a HUGE fan of the Outlander series and of all the books, I felt this one was flat. Yes, a lot of history of our revolutionary war in the book but too much jumping around in too many of the character’s lives and none of the original questions that we all expected to be answered were in this novel. i.e.- Jamie’s appearance in front of Frank in the beginning of Outlander, His ability to see Jemy in the future and what happened to get Bree and Roger & family to the Ridge in that time. A lot of this seemed rushed to complete families ( Ian & Rachel, Dottie & Denny) and not the spark and intensity and DETAIL of emotions for Jamie and Claire. It just seemed you tried to tidy everything up in this ( what seems to be) your last novel. I am and always will be an Outlander lover. I will be watching all of it and I hope it all was worth it.